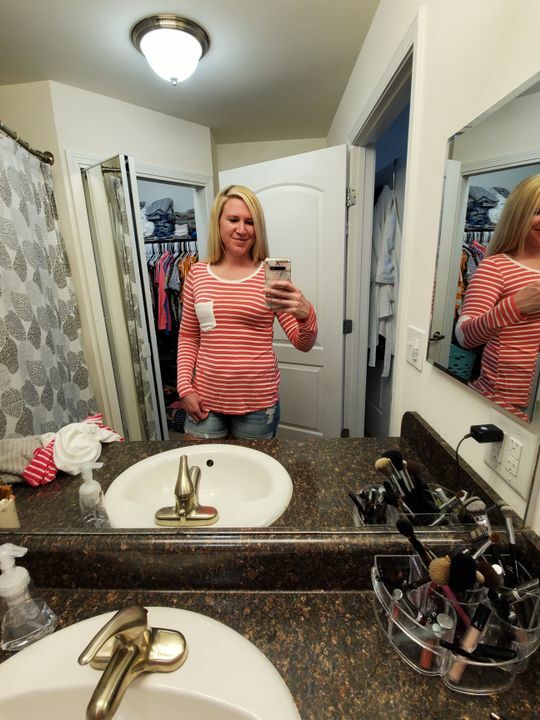 We adore how this striped top has the cutest heart elbow patches along with a front pocket! Perfect long sleeve top for Valentine's Day! Fit: True to size. Lightweight material. Mack is 5'5.5'' a size 34B, wearing an x-small. X-Small: Bust 36" Length 26"
Large: Bust 42'' Length 27.5"
X-Large: Bust 44" Length 28"
I love the elbow patches, they are so cute. And the top is a beautiful pink. It is a little bit clingy, so I would go with your true size or size up. I love this shirt! It is comfy and cute. Great for layering. Very cute and soft top! I’m typically a small, but should have gone up a size. Love the colors and hearts. Found it to fit much smaller than expected.